Did they manage to ring it first? 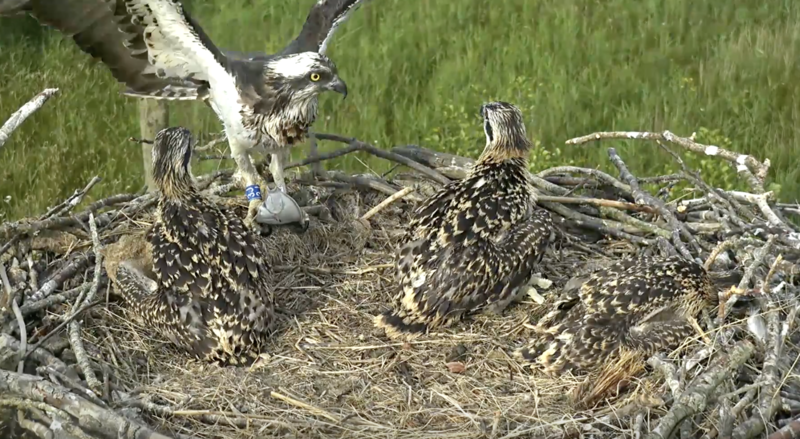 No chance, Korky - it fledged in record time! 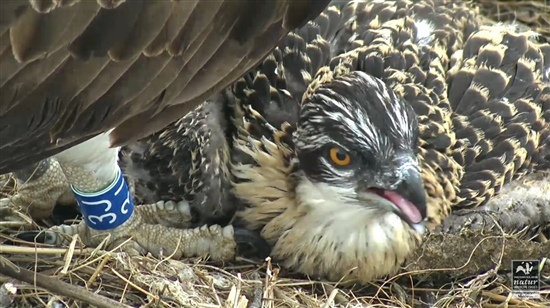 The plastic bag blowing away is on Scroll back. Currently 3hours back. Dyfi coin appeal Blog. … for the new centre. 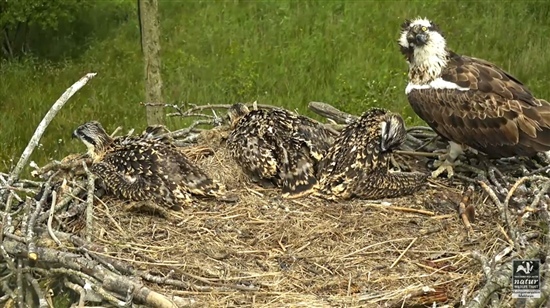 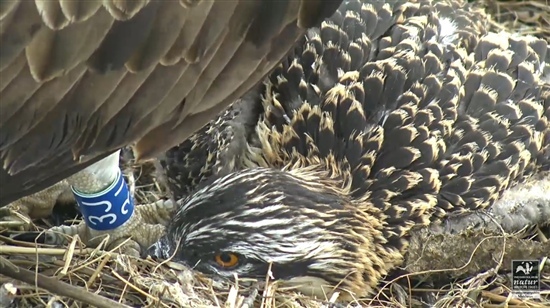 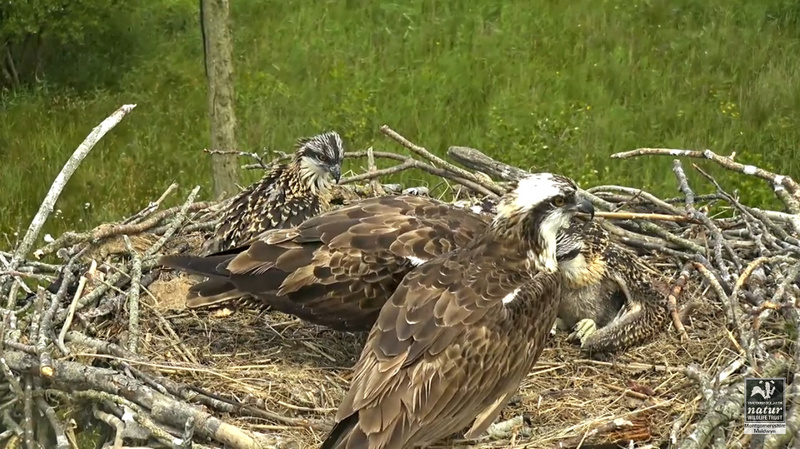 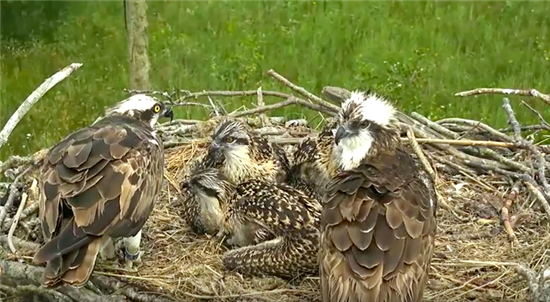 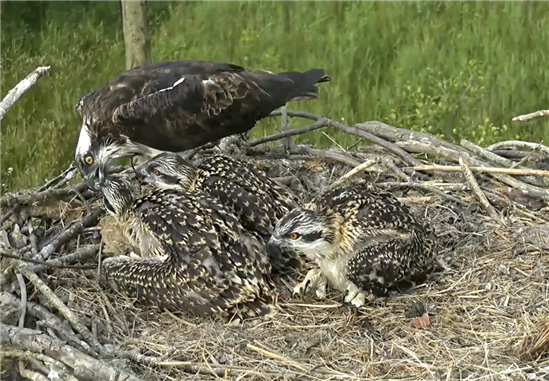 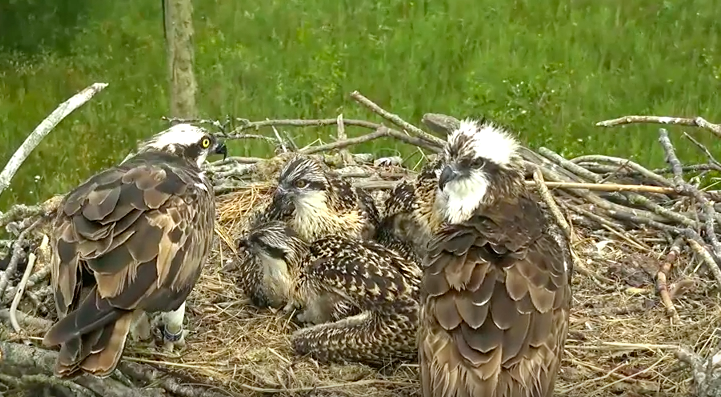 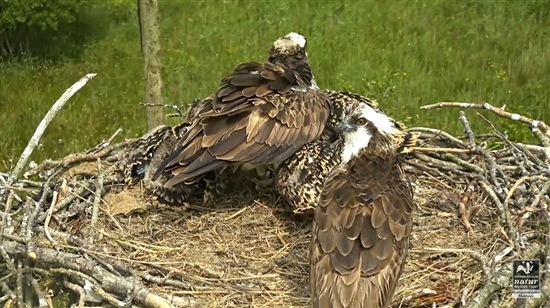 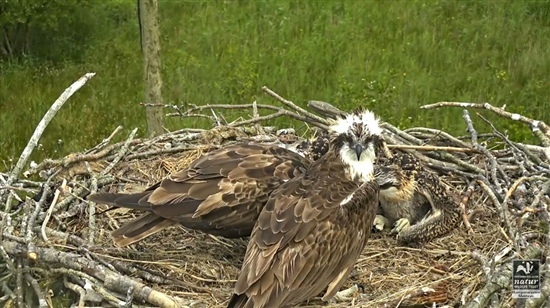 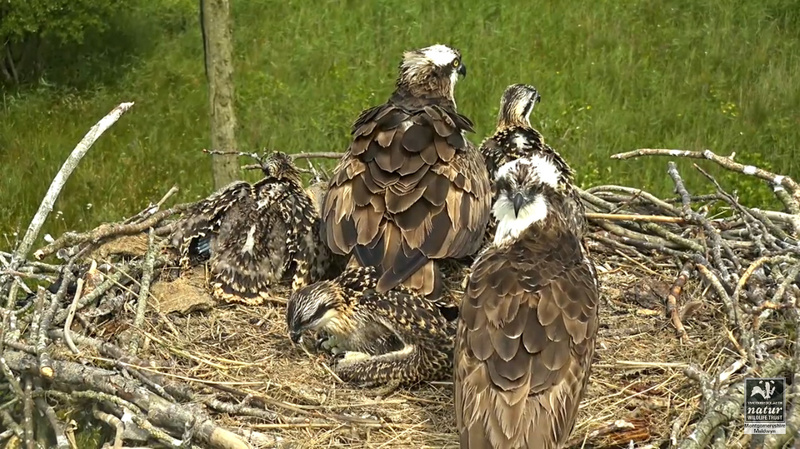 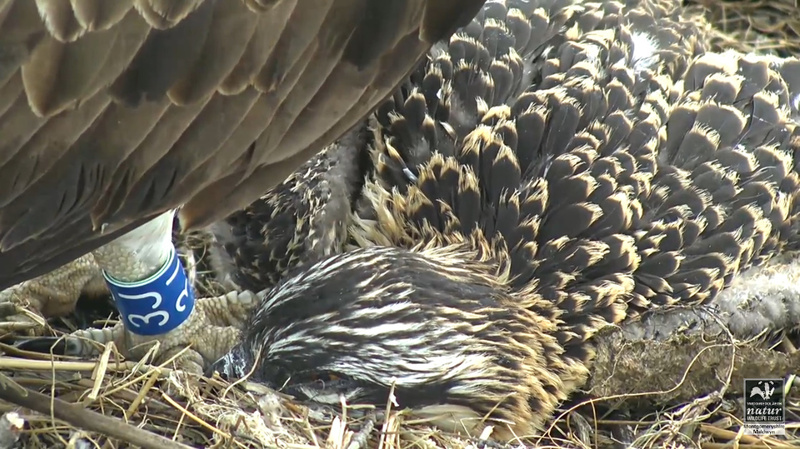 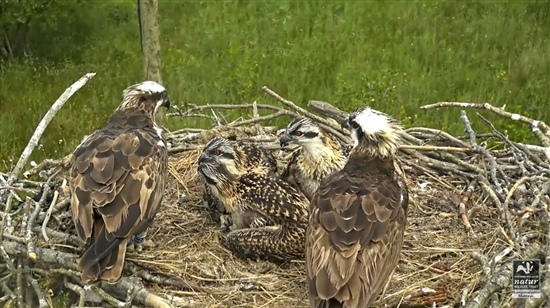 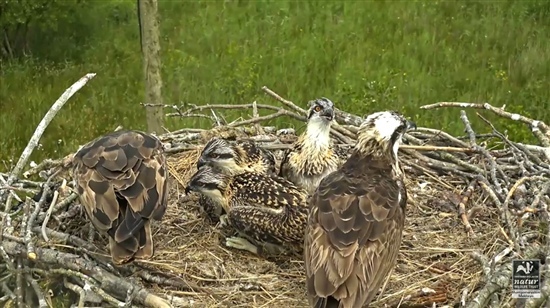 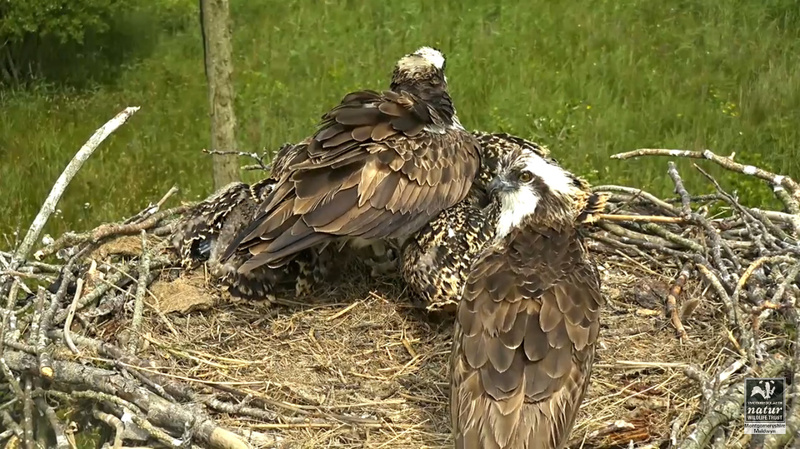 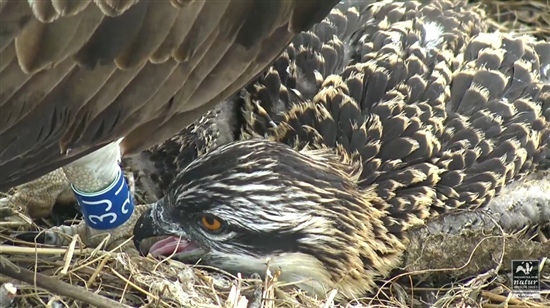 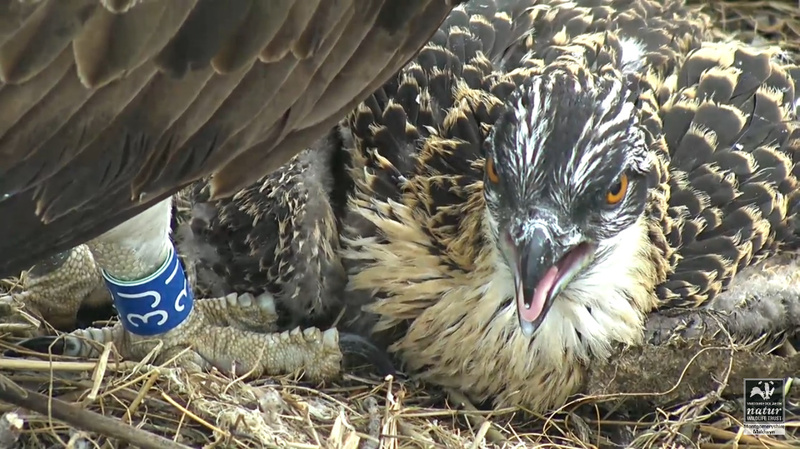 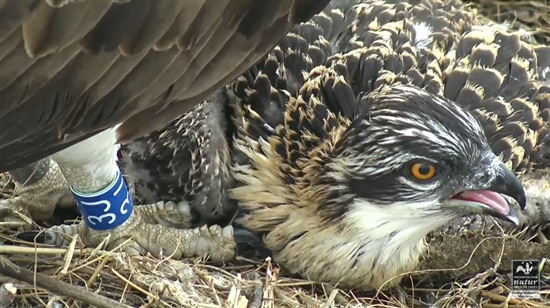 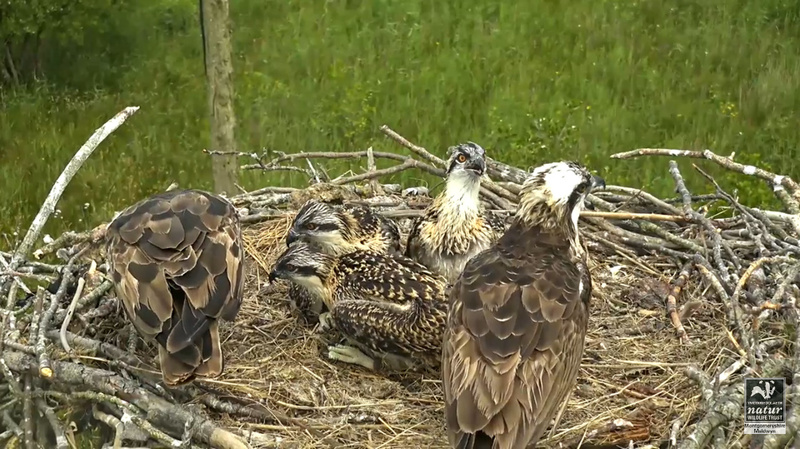 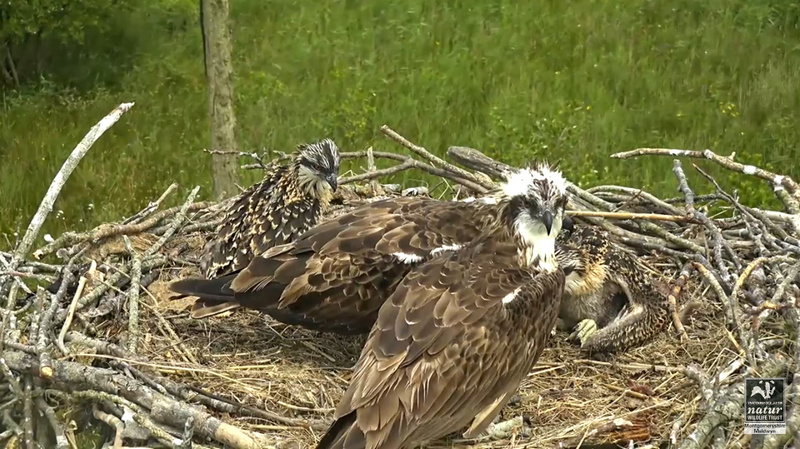 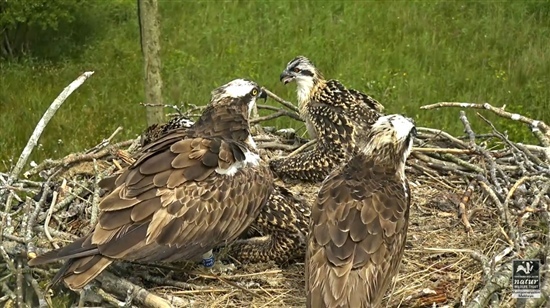 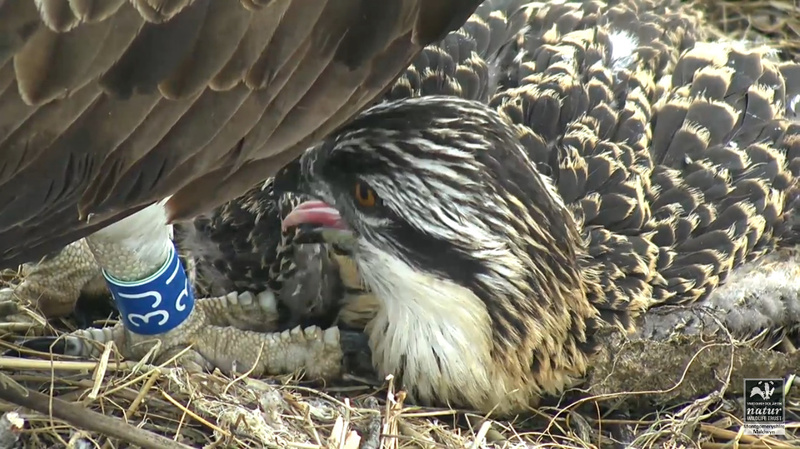 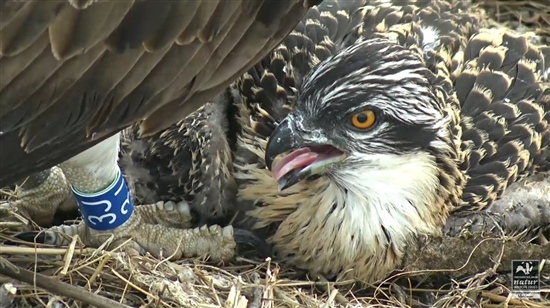 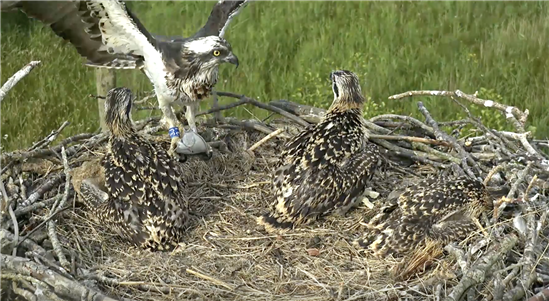 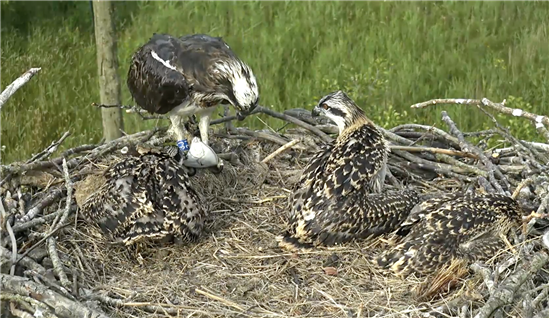 Telyn has just come back to the nest soaking wet with a Flounder! Hi Mike, yes just saw that!